Expanded product line featuring Telit, Sequans, and WNC modules for Verizon and AT&T LTE networks to be on display at MWC Americas. Developers of products for the Internet of Things (IoT) have eagerly anticipated large-scale availability of low-cost, low-power LTE Category M1 (LTE-M) modems. NimbeLink® announces the expansion of its embedded Skywire® Cat M1 modems for IoT applications for use on the Verizon and AT&T cellular networks. The larger selection of Skywire modems helps IoT developers meet a wider range of requirements for connectivity, functionality, and speed-to-market. A sampling of these devices will be on display Sept 12-14 at MWC Americas. 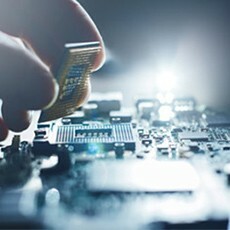 Product selection is dependent on numerous factors including carrier and capabilities such as GPS, optimized power consumption, or a USB interface. The Skywire M1 modem based on the Sequans module is designed for use on the Verizon network. Telit-based Skywire modems have GPS/GNSS, and are available for use on either Verizon or AT&T networks. The Skywire modem based on the WNC module runs on the AT&T network. Product Developers now have a full suite of products to choose from. The Skywire Cat M1 modem and the Skywire M1 Development Kit (M1DK) have been available to designers for months. The extremely low power requirements of Cat M1 modems make them ideal for mobile or remote applications where they can run on batteries for up to seven years without a battery change or recharge. As new features become available on the rapidly changing Cat M1 LTE landscape, Skywire Cat M1 modems accommodate firmware upgrades to support these new features. NimbeLink’s Skywire Cat M1 modems are end-device-certified, eliminating the need for costly, time-consuming testing and certification that would be required of products incorporating Cat M1 chipsets or modules. Skywire Cat M1 modems are available in a fully-featured development kit. In addition, NimbeLink has posted design files that product developers can use in designing their IoT products.